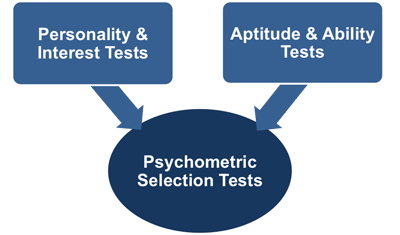 There are two main types of psychometric tests used by employers as part of their selection processes; aptitude tests and personality questionnaires. Aptitude tests measure abilities such as verbal, numerical, or abstract reasoning. They are always presented in a multiple-choice format and the questions have definite right and wrong answers. They are strictly-timed and to be successful you need to work through them as quickly and accurately as possible. Verbal Ability Tests - These questions appear in most job selection tests because employers usually want to know how well you can communicate. The test may include questions on spelling and word meanings as well as those that require you to understand analogies and follow detailed written instructions. Numeric Ability Tests - These questions appear in most general aptitude tests because employers usually want some indication of your ability to use numbers even if this is not a major part of the job. The test may include basic arithmetic, number sequences and simple mathematics. In management level tests you will often be presented with charts and graphs that need to be interpreted. Abstract Reasoning Tests - This is believed to be the best indicator of fluid intelligence and your ability to learn new things quickly. These questions appear in most general aptitude tests. The questions take the form of a series of diagrams. Spatial Ability Tests - These questions not usually found in general aptitude tests unless the job specifically requires good spatial skills. These tests measure your ability to mentally manipulate shapes. Mechanical Reasoning Tests - These questions are used to select for a wide range of jobs including the military and emergency services, as well as many craft, technical and engineering occupations. Data Checking Tests - Measure how quickly and accurately errors can be detected in data and are used to select candidates for clerical and data input jobs. Our partner AssessmentDay offers online practice tests with timed tests, answer explanations, score reports and problem solving strategies. Check out their full range of tests here. You can significantly improve your scores in aptitude tests by practicing the types of question that you will face. You should make your own decision about which types of question to practice. You could either concentrate on your weakest area or you could try to elevate your score across all areas. Whichever strategy you choose - keep practicing. Because of the way that aptitude tests are marked, even small improvements to your raw score will have a big influence on your chances of getting the job. 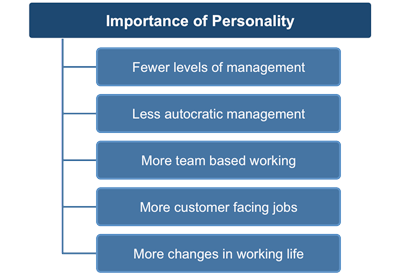 Personality tests are used to determine how you are likely to behave under various conditions. There are supposedly no right or wrong answers, and the questionnaires are usually completed without a strict time limit. There are currently well over 2,500 personality questionnaires on the market and each year dozens of new companies appear with their own ‘new’ products. Whilst, many of the well established companies who provide personality tests do operate to the highest ethical and professional standards, this market should be seen for what it is. One with low barriers to entry and one that is very poorly regulated. Anyone can set up a company to develop and sell personality tests and can make whatever claims they feel like, secure in the knowledge that they are very unlikely to be challenged. 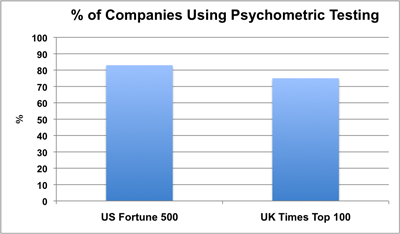 Some of the companies that produce personality tests are very secretive about their methodologies and do not make public crucial information about how their tests were developed or how well they work, claiming that this information is ''proprietary". For some personality tests, ''almost no evidence at all is available beyond assurances that evidence exists," reported a task force appointed by the American Psychological Association. Many professional psychologists outside of the personality testing industry are extremely critical of the way that personality tests are used in the job selection process. Despite the dubious validity of many of the personality tests used in selection, there is very little real advice about how to approach them. There are literally dozens of books and websites with advice on how to prepare your resume or how to answer ‘tough’ interview questions. However, when it comes to preparing yourself for a personality test, the advice is usually limited to ‘just be yourself’. Why? After all, if you’re going to spend considerable time and effort preparing your resume and preparing for the interview, then why not prepare yourself for the personality questionnaire? One argument that you may hear, is that if you try to influence the test results then you will have to operate ‘outside’ of your personality type for 40 hours a week. This is overstating the case to the point of absurdity; very few people would ever consider applying for a job which was totally unsuitable for them. It would be foolish to attempt to fake a 180 degree change in your personality, but you may need to modify how one personality trait appears in the results of a test. This is perfectly reasonable as most of us modify our behavior at work anyway and these tests are attempting to infer behavior from our personality traits. Despite all of the platitudes to the contrary, either you have the ‘right’ personality or you get rejected in favor of someone who has. The idea that there are no right and wrong answers is patently untrue. The test publishers and the organizations that use the tests admit as much when they say ‘personality questionnaires help to replace subjective judgments with objective ones’. If there are no right and wrong answers, then what exactly is the test replacing subjective judgments with? You may find it difficult to accept the idea of attempting to influence a personality test. However, before you make that decision, you need to understand what it is that the tests try to measure, how they measure it and how the employer uses this information. Remember, there is very little consensus outside of the personality test industry about how accurate some of these tests really are, compared to aptitude tests or the tests used in assessment centers. This is one area where you really do have to make your own decision.